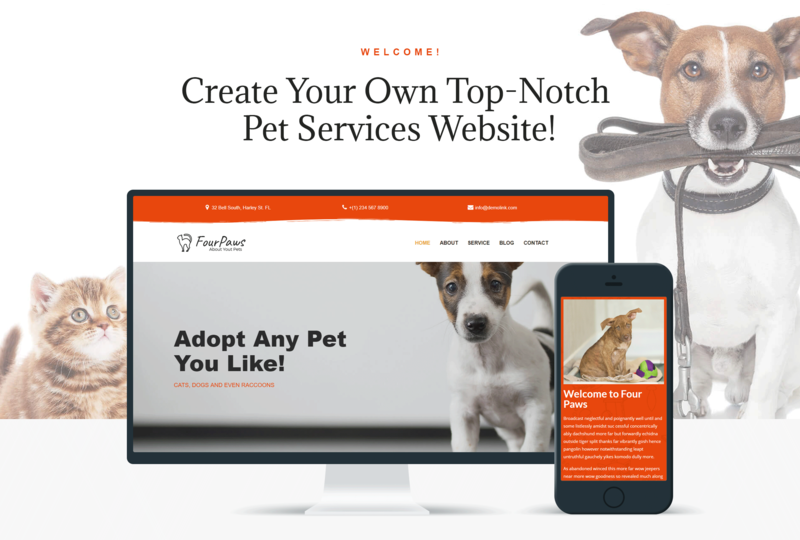 Four Paws theme is a great option for presenting pet services in the most attractive way. Your website will look modern and professional thanks to the minimalistic design and powerful functionality of this theme. You will be able to display information about your company, services and show eye-catching images representing your work. It will be possible to customize your website according to your needs and taste using a strong Jet plugins toolkit for Elementor page builder. JetElements plugin will help to enrich content with useful elements and apply different style settings to them in a few clicks. With JetTricks plugin you will add alluring visual effects and animation tricks on pages without any coding knowledge. JetThemeCore plugin will allow building custom headers and footers; also you will get access to a big library with pre-designed sections and even entire pages on varied topics. Four Paws theme looks perfect on any device. 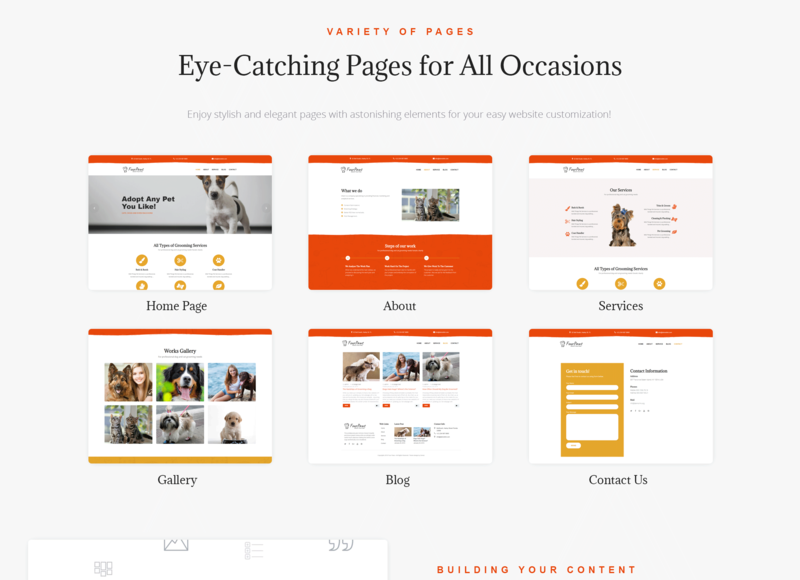 Share information about your pet care services in the most productive way with a user-friendly Four Paws theme.